SP: Josh Beckett-shoulder, Drew Smyly-finger, Bud Norris-knee, Brandon Beachy-elbow, Jaime Garcia-shoulder, Bartolo Colon-abdomen, and Roy Halladay-shoulder. RP: Sandy Rosario-quads, Octavio Dotel-elbow, Henry Rodriquez-finger, and Alexi Ogando-groin. Clayton Richard-SP-Padres- We’re recommending Richard only as a stop-gap or streaming tool especially while he’s on a pretty good streak of late; three quality starts out of four in June. In those three games he’s given up a total of 2 earned runs and went 2-1 with 1 ND. We like him in his next start vs the weak Mariners at home. He’s available in almost every league. Justin Masterson-SP-Indians- The former 2nd round pick of the Boston Red Sox never lived up to the high expectations the Sox had for him. He was rocked earlier in the season but since has settled down by throwing 3 straight quality starts in June. His last one, a 9 strikeout performance vs the Pirates last Friday was one of his best this season. Over his last 14 innings, Masterson has 15 K’s and an ERA of 0.64. He’s worth a look in deeper and A.L. only leagues. He’ll face the Reds at home on Wednesday and is owned in around 40% of leagues. 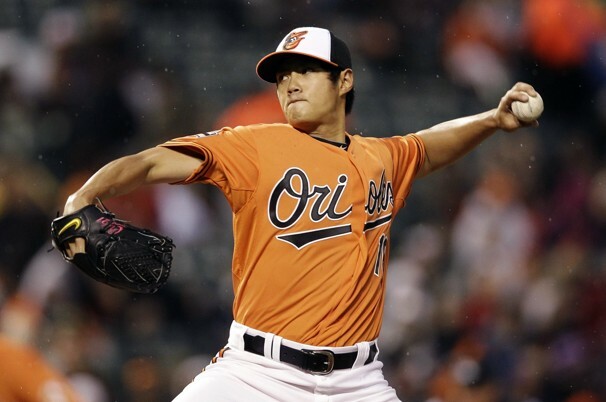 Wei-Yin Chen- SP-Orioles- This 26 year old Taiwanese rookie southpaw has won his last three starts and has, over the course of the season, pitched fairly well against some of the leagues better teams. Angels-1 ER, Yankees-2 ER (twice) and Red Sox-1 ER. He’s 7-2 on the season with a decent 3.36 ERA. He is certainly worth picking up in 12+ leagues. He’ll face the Nationals on Saturday and the Indians next week. Chen is owned only in 25% of leagues. Jarrod Parker-SP-Athletics- Drafted as an 18 year old in the first round of the 2007 draft by the Diamondbacks, this is Parkers first full season in the majors and it hasn’t been without its bumps and bruises along the way. He has had two tremendous starts in his last three outings. a 3-hitter 8-2 win over the Rockies last Thursday, and a 1-hitter 8 inning 12-1 gem against the Rangers. Sandwiched in between these sterling starts was a 6 earned run, 5 walk implosion against the team that drafted him, Arizona. He only has 2 duds out of his 10 starts this season, and has a serviceable 2.82 ERA. Pitching in a true ‘pitcher’s park’, he is definitely worth a spot in 12+ leagues. He’s available in 70% of leagues. Tom Wilhelmsen-R/P-Mariners- Given the rough season Brandon League has had; 0-4, 3.90 ERA, 1.60 WHIP, 20K’s, 15 BB’s, manager Eric Wedge has put his trust in Wilhelmsen who has not disappointed. In the month of June, he has 2 wins, 4 saves, 11K’s, and just 2 BB’s. 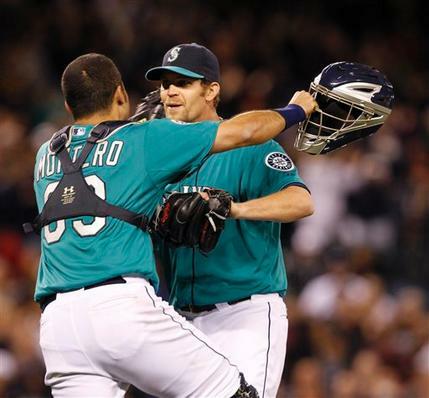 Best known for his perfect ninth inning vs the combined multi-pitcher no hitter back on June 8th, Wilhelmsen should be a must add in any league that needs saves until or unless Wedge decides to give the closing chores back to League. He is owned in 33% of leagues. I need to replace Beckett. If both are available, who do you recommend between Richard and Chen? As always, thanks so much for the helpful scouting reports. I would pick Chen only because he gives you a better chance of winning as the Orioles offense is way better than the Padres. If he isn’t avail. lemme know and I’ll give you some options. How many teams are in your league? Well keep up the good work, good luck with it and let me know whenever you need any assistance. 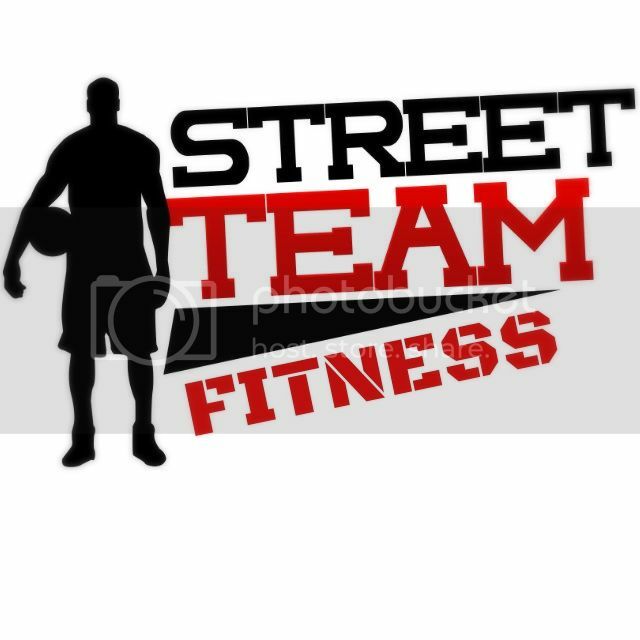 You can contact me directly at fantasyfurnace@yahoo.com anytime.